Good morning, working stiffs! For those of you who made it into work this morning at a reasonable hour after hopping on the Metro and grabbing a cup of coffee at the nearest food truck -this post is not for you. For the rest of you poor bastards who woke up at 5:00 am just to barely make into the office by 9:00, or who are currently languishing in traffic outside the Mormon Temple -your suffering is almost over. Well, not really. You’re suffering will most likely continue until you decide to leave this God-forsaken town in favor of an easier life pickling artisanal cabbage in California or selling jewelry on Etsy. However, WTOP will make things just a little bit easier for one or two of the most wretched commuters among you. 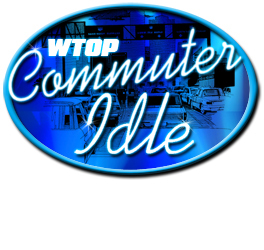 The Capital’s most listened-to radio station announced today the return of “Commuter Idle” – an “extreme commuter competition” in which listeners share their daily travel horrors and compete for prizes and the dubious distinction of being the District’s most harried commuter. Between now and Happy Hour on Friday, May 2nd, listeners can submit stories about their harrowing commutes at WTOP.com. The top ten entries will be featured online and on-air, with listeners weighing in as the list is narrowed to three. The finalists will be featured the week of May 19th and the grand prize winner (loser?) unveiled on Friday, May 23. So get cracking! If your daily routine is truly, tragically awful, you could win $1000 in gas money and a limo ride to and from work for one day! And that would almost make it worth it to live Reston. Almost.